Mrs. Andersen (born 1970) has served as Executive Vice President Production since April 2018. Mrs. Andersen has previously held several positions in the company. She was Executive Vice President Supply Chain 2016-2018 and VP Supply Chain Europe 2014-2016. 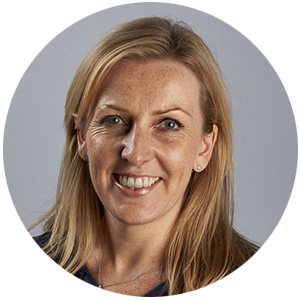 She has also served as VP Marketing and New Business 2011-2013, Country Manager Yara UK/ Ireland 2006- 2011, Director Specialities and Retail Marketing 2005-2006, Director Business Development and Alliances 2003-2005, Manager, Business Development, Finance and Analysis Hydro Agri 2000-2003, Business Facilitator 1999-2000. She was employed by Hydro in 1997 as a trainee. Mrs. Andersen holds a Master’s degree in Business Administration from BI Norwegian Business School and a Master’s degree in physics and mathematics from the Norwegian University of Science and Technology (NTNU).